Do you know what a basketball sweet spot is? Here’s a better question – do you know where YOUR sweet spot is? A sweet spot is a spot on the floor that you love to shoot from because you can make that shot! You own that spot. You can knock it down with your eyes closed… okay, maybe not really with your eyes closed, but you get my drift. It is a spot where you want to get and shoot the ball because you’re very good at it. Kobe Bryant has his elbow jumpers. David West has the short corner. Lamarcus Aldridge has his 18 foot free throw line extended jumpers. And you can have one too. I believe that every player should have a sweet spot, and if you currently don’t have one, here are a few steps to developing a good basketball sweet spot. 1. General Repetitions Repetition is an underrated development tool. It might take your brain one or two repetitions to register something, but it takes you body much longer to register something and make it instinctual. We’ve all heard of muscle memory. That comes by repetition. If you want to build a sweet spot, start by getting repetitions of MAKES. I recommend at least 40 makes in whatever spot you choose. That can be broken down into 20 makes at the beginning of your workout, and 20 makes at the end. You don’t need a partner for this. Get 40 makes of ball-in-hand jump shots from whatever spot you choose. 2. Varied Repetitions Along with stationary reps, incorporate dribble-into reps and catch-and-shoot reps. These were very effective for me when I was playing and working on my game. If you are working on shooting the right wing 3 pointer for example, practice dribbling down with either hand as if in a delayed fast break. Make 5 shots dribbling down with either hand, then get 10 makes off a pass (being ready on the catch) from a teammate. For the super serious shooter, also incorporate reps off of cuts. Set up cones as screeners and curl cut into your spot. Then straight cut into your spot. Set an imaginary screen then cut into your spot as the screemer. The more you are used to getting the ball in your spot in various ways, the more comfortable you will be in that spot come game time, when anything can happen. 3. Contested Repetitions I’m giving this its own focus because this needs special attention. Most of us practice shooting without defense, but we also need practice with defensive pressure! You’d be lucky in any competitive game to get more than 5 wide open shots. You need to be able to shoot with small amounts of daylight. Do contested reps with a buddy. Have him or her pass to you then close-out to try and block your shot. This will help you get your shot off quicker, and will get you practice negotiating defenders while still staying focused on your shot. 4. Mini Basketball Games The next step to getting your sweet spot going is to play mini games. Play 1-on-1 with a buddy and try to get to your sweet spot to score once every three times you have the ball. Play games by yourself you shoot 20 times from your sweet spot and mark your percentage. Give yourself rewards and consequences for certain levels of performance. Play the “Beat Lebron” game from your sweet spot in a 7 game series and see if you can win the series. Play games with consequences like this outside of shooting reps and full-court games to get yourself comfortable with your sweet spot. 5. Development Scrimmage The ultimate test (and ultimate confidence-builder) is 5-on-5 full court basketball action. In the 5 on 5, practice different ways of getting to your sweet spot with and without the ball, and work on getting your shot off against live defense. You don’t want to give away what you’re doing to the defense, so only look to shoot from your sweet spot once every 4 times you have the ball. In the other times you have the ball, practice passing from that sweet spot and faking and driving from that sweet spot. Also remember to try to use screens to get yourself open as the screener at your sweet spot. We’ve given you 5 doable steps to developing your sweet spot. Implement these steps for a month and see the results you get. 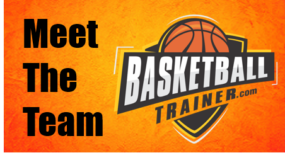 If you need help with shot form, cutting or screening technique, or being ready on the catch as it relates to your sweet spot, contact your local basketball trainer to help you. Getting feedback in your loop is critical to accelerating your rate of improvement. We can’t wait to see you owning your sweet spot!